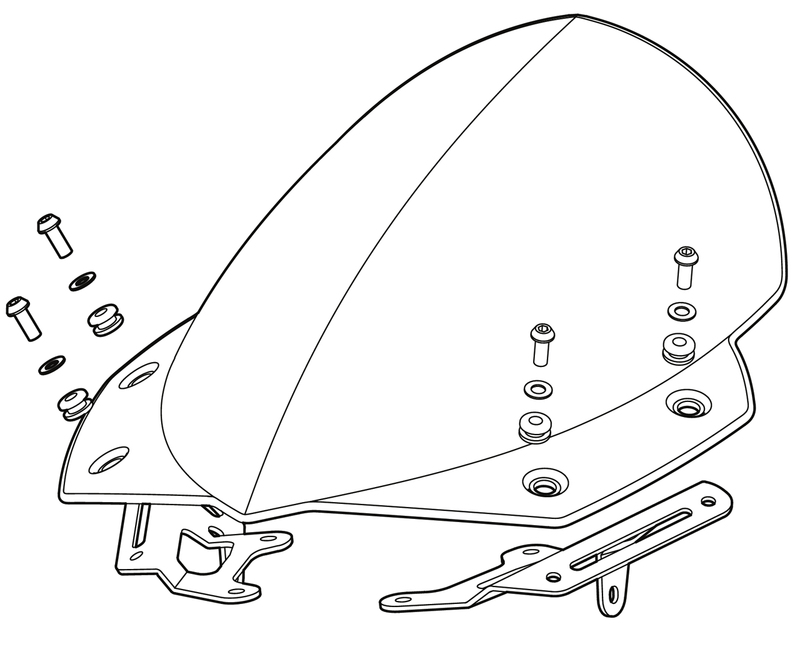 Remove the four hex head screws from the panels above the headlight, and the two screws on the side of these panels. Fit the right hand screen mounting bracket above the panel. Locate this with two of the M6 x 25mm screws supplied, but do not tighten yet. Refit the original Yamaha screw at the side of the panel. Tighten this screw fully. Now tighten the two top screws: please note, these screws locate into rubber inserts, so it isn’t necessary (or possible!) to tighten them fully. It is the side screw that provides the main support for the bracket. Repeat operation for left hand side. Fit the top two machine screws. Once everything is in position, gradually tighten all the screws evenly until they are seated on the brackets.